As Bibiana Narcissa walked around Israel’s national military cemetery at Mount Herzl in Jerusalem last August, she noticed the many stones placed on the graves of fallen soldiers. Until then, she had been unfamiliar with the Jewish custom of leaving small rocks on tombstones, instead of flowers. 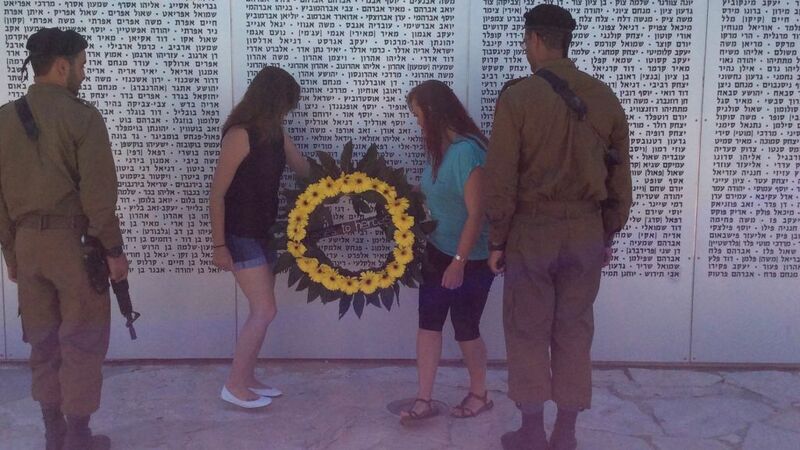 She was also moved to see a group of active-duty soldiers visiting the cemetery with an IDF educator-guide. In Israel, it is common for soldiers and members of the public to come pay their respects to fallen they may never have met. “I would like to see that back in the United States. People there don’t have the same understanding of the military experience as they do here in Israel,” Narcissa told The Times of Israel. 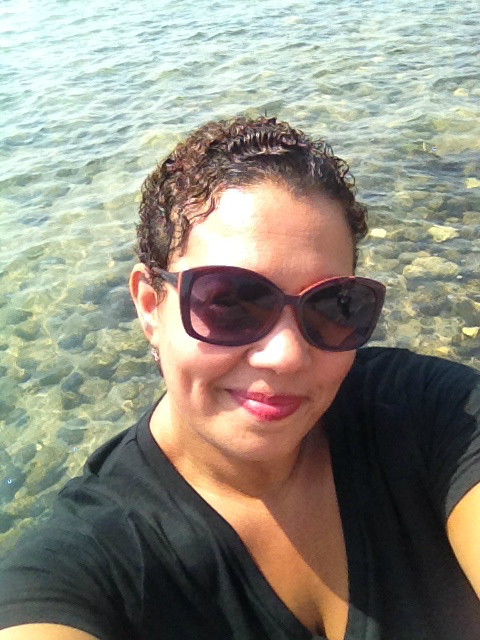 As a US military veteran, Narcissa, 45, has struggled since her discharge from the United States Air Force in 2003 with post-traumatic stress disorder (PTSD), and with finding a sense of purpose in life. Back at home in Detroit, she found few people who could understand what she was going through. But it was different in Israel, where she learned that that because of mandatory military service for most citizens, everyone here can relate to her experience. “There is not that disconnect between military vets and the public like there is in the US,” she said. Narcissa was in Israel with nine other American military veterans participating in Heroes to Heroes, an all-expenses-paid trip that brings them together with IDF vets. They tour the country jointly, visiting tourist and religious sites. More importantly, they bond with one another and create a supportive and healing community that lives on well past the trip. Narcissa participated in the first women’s group Heroes to Heroes has organized since Jewish New York City area businesswoman Judy Isaacson Schaffer founded the Heroes to Heroes Foundation in March 2010. Former Republican Arkansas Governor Mike Huckabee and his wife Janet Huckabee serve as honorary national chairs. “It’s about getting them to forgive themselves for doing what they were asked to do in combat,” Schaffer explained about her organization’s mission. Inspired by her WWII US military veteran father’s interactions with fellow vets, Schaffer was motivated to do something to try to stem the tide of suicides among those who have served in the US Armed Forces. “Twenty-two vets commit suicide every day,” Schaffer said, citing a statistic mentioned often by politicians and activists. It more accurately reflects the situation among older vets who served in conflicts prior to the wars in Iraq and Afghanistan, according to an article in the Los Angeles Times from January 2015. The article presented the findings of a recent study showing that recent veterans commit suicide at an annual rate of one per day. This is a rate 50% higher than people who have never served in the military. The study, published in the February 2015 issue of the Annals of Epidemiology, included all 1,282,074 veterans who served in active-duty units between 2001 and 2007 and left the military during those years. It found an annual suicide rate of 29.5 per 100,000 among those veterans, with a slightly higher rate among those who had never been deployed to Afghanistan and Iraq than those who had been. The LA Times also reported in 2015 that female vets commit suicide at nearly six times the rate of other women, and at a rate that approaches that of male veterans — a finding that surprised researchers. The article pointed to a 2012 survey by the Defense Department that found that an estimated 10% of active-duty women were raped and another 13% subjected to other unwanted sexual contact. This is thought to be a possible contributing factor to the high number of suicides among women who have served. When starting Heroes to Heroes, Schaffer knew instinctively that Israel was the only place to take the veterans. Not only is it a country where a majority of its citizens are military veterans, but it was also the obvious location for American vets to reconnect (or connect for the first time) to their religious or spiritual roots. “Israel provides outlets to put perspective on what they were asked to do by their government. It’s where they can reconnect with themselves, others and their Creator. If they can forgive themselves, God can forgive them, too,” Schaffer said. On each Heroes to Heroes trip, the 10 American veterans are joined by five IDF veterans for a packed eight-day itinerary. They hit all the typical religious tourism sites, including the Western Wall, the Via Dolorsa and the Church of the Holy Sepulchre in Jerusalem’s Old City, the Church of the Nativity in Bethlehem, and Capernaum on the shore of the Sea of Galilee. They also have the opportunity to be baptized in the Jordan River. The group, which lodges at kibbutz guest houses, also visits sites related to Jewish, Zionist and IDF history, such as Masada,Yad Vashem, Ammunition Hill and the Latrun Tank Museum. Discussions in these settings are about values and choosing life. 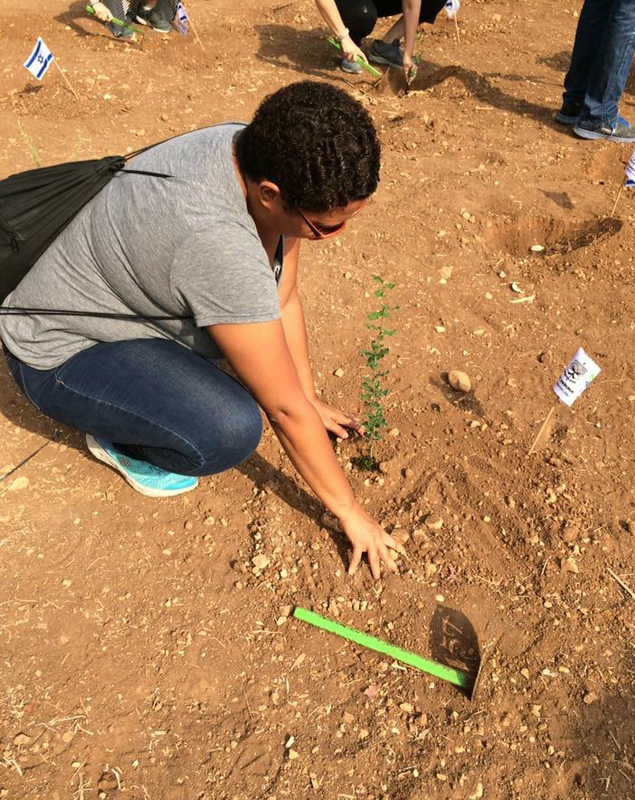 For many, the most moving moments come at the 9/11 Living Memorial Plaza in Jerusalem, and while planting trees in partnership with the Jewish National Fund. “Planting trees is a key element of the program. It symbolizes growth and renewal. It means a lot to the US vets to leave behind something they themselves put into Israeli soil. Some of them even keep an eye on their trees via GPS and Google Maps,” Schaffer said. There is little free time for the US vets when they are in Israel. Alcohol consumption is forbidden, and instead of going out on the town at night, the entire group gathers to debrief and process what they have done, seen and felt during the day. The week-long experience is led by professional tour guides and coaches trained by Schaffer. The coaches are themselves graduates of a Heroes to Heroes trip. In fact, Narcissa’s brother Anthony Webster, who did two combat tours and was awarded two Purple Hearts, was a guide on her trip. Webster had encouraged his sister to apply to the program after he went to Israel with Heroes to Heroes and found the experience to be life-changing. Equally important as the sites the US vets visit — if not more so — are the opportunities they have to meet and get to know the IDF veterans travelling and lodging with them, as well as other Israeli vets, active-duty IDF soldiers, and terrorism victims. 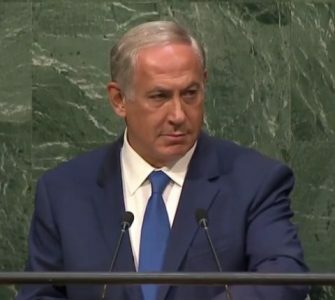 “Things are very real, very in-your-face in Israel in terms of terrorism and other dangers. It’s beautiful to see that Israelis don’t let that make them stop living. If Israelis can find a reason to live, we can too,” said Narcissa. 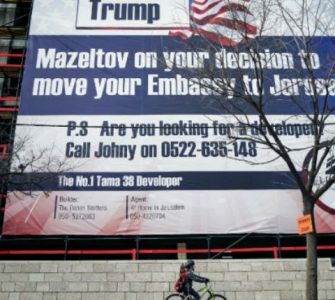 The Americans also discover sides of Israel they don’t see in the news, and they return home with preconceived notions they had about the country disproved. 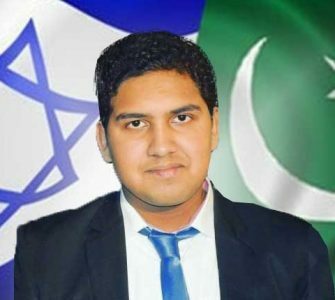 “Most were not fans of Israel before coming to the country, but connection to Israel becomes strong,” Schaffer claimed. Narcissa, who is African-American, said she had been under the assumption that Jews did not like Blacks. She was pleasantly surprised to not only see the diversity among Israelis, but also to discover that the color of her own skin made no difference to Israelis. According to founder Schaffer, male combat veterans are more in need of the Heroes to Heroes program than are the women, because women generally open up more and speak to one another about their trauma. 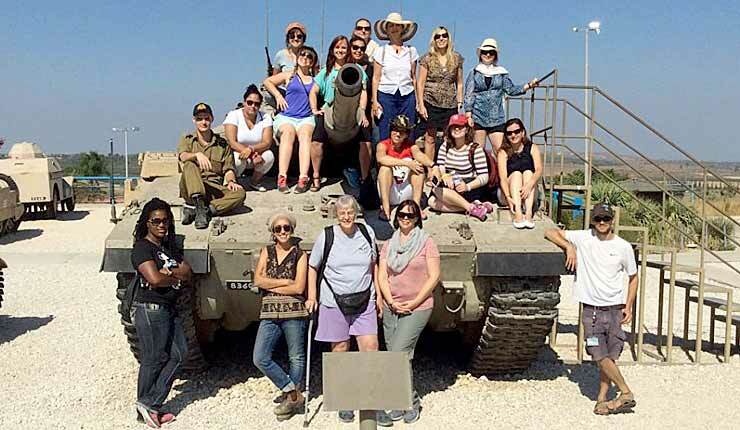 This not withstanding, Mimi Berman, a 25-year-old American-Israeli who served in an IDF combat field intelligence unit on the southern Egyptian border from 2009 to 2011 found her participation in the women’s Heroes to Heroes trip invaluable. “I was blown away by the American women right from our conversation with them on the first night of the trip. They are incredibly strong. They have gone through so much, but they keep going as they continue to deal with their emotional turmoil,” Berman said. While she herself has not experienced combat trauma, she found the program to be as life-changing for her as it was for her American counterparts. It was a powerful experience to help the American women finally feel like they were in a place where they were understood and fit in. “Women relate on a different level. They need a different level of connection, and especially to connect with other women when dealing with this very heavy stuff. It was a case of powerful women empowering other powerful women. It gave me a renewed sense of pride in being both a woman and an Israeli,” Berman said. It has not been difficult to recruit US vets who meet the application requirements for Heroes to Heroes. According to Schaffer, who serves as the organization’s president, some 1,000 vets have expressed interest, and there is a long waiting list. 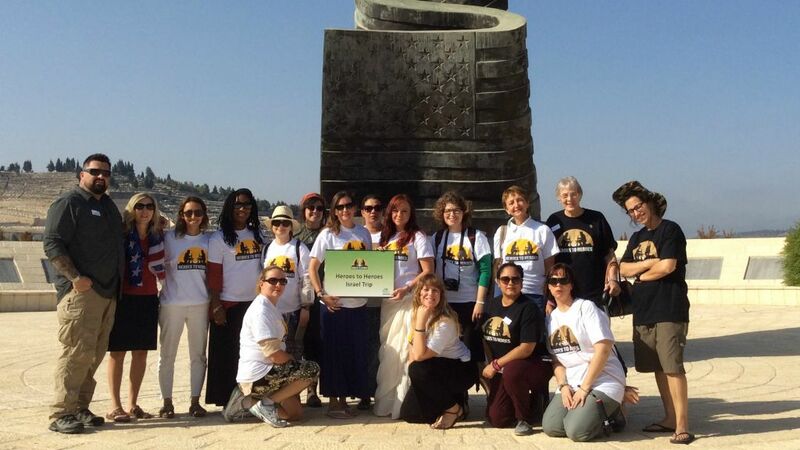 In contrast, it has been more difficult to find IDF vets to participate in the trips. Unlike many of the US vets who are unemployed and on disability, most IDF vets are either working or studying and find it hard to take eight full days off away from their regular routines, and from their families. There is also the issue that Heroes to Heroes requires Israeli participants to either be native English speakers, or at least have a solid command of the language. Schaffer has partnered with a number of key individuals in the IDF, as well as military-related Israeli organizations in an effort to identify potential Israeli participants. Berman, for instance, found out about the trip through her contacts in Garin Tzabar, a program of Israeli Scouts that brings American Jews and the children of Israelis living in America to serve in the IDF. The Lone Soldier Center is another Heroes to Heroes partner. 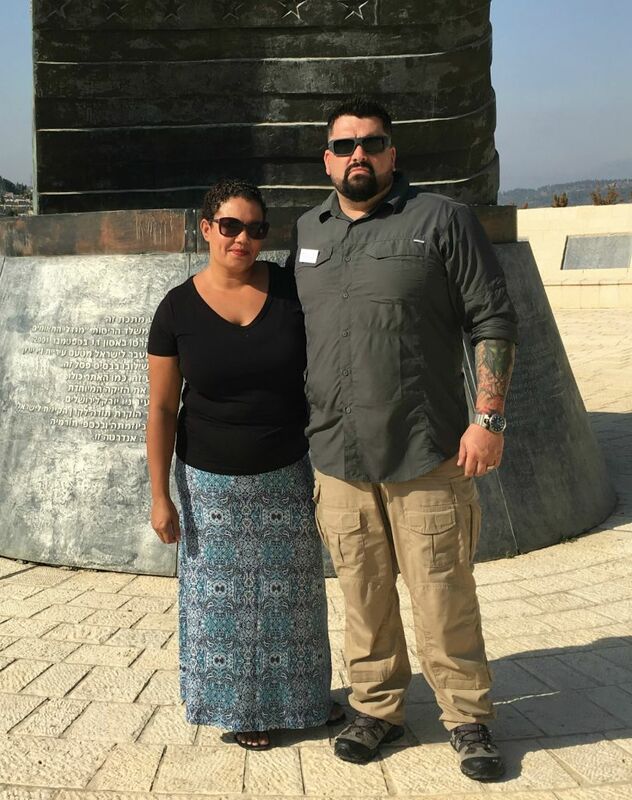 In addition to hosting the American vets and introducing them to past and present lone soldiers [IDF soldiers living independently, and soldiers from abroad without immediate family in Israel] and the center’s volunteers, it helps recruit English-speaking IDF vets for Heroes to Heroes trips. “Lone soldiers want to connect with and support the American vets. They find it interesting and rewarding,” said Josh Flaster, The Lone Soldier Center’s national director. Flaster said the US vets have great respect and admiration for their lone soldier counterparts serving in the IDF. “From the perspective of the US veterans, the lone soldiers they meet and seamlessly bond with are engaged in the same fight and carry out the same mission they were tasked with — to defend and protect innocent lives, to defend democracy and freedom against acts of terror, hate, anarchy and other nasty faces of Islamic extremism that have appeared in the Middle East and across the world,” Flaster said. Schaffer started Heroes to Heroes as a side project, but is now devoting herself to it full-time. She said she has seen how the Israel trips have turned lives around. 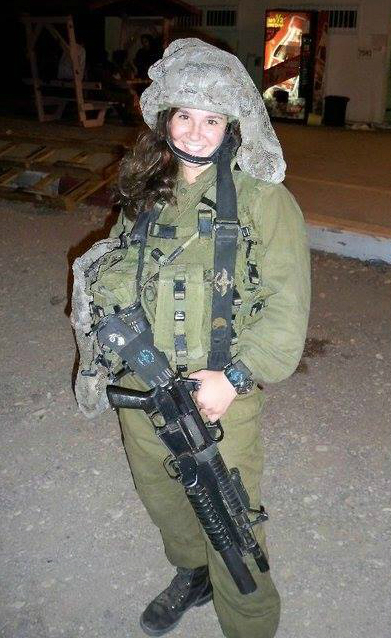 “Many of our alumni credit Israel with saving their lives and lifting the load of the burden of killing. One vet was finally able to say out loud that he had killed a 10-year-old boy in Iraq. He said it at the children’s memorial at Yad Vashem,” Schaffer recalled. Narcissa and the other US vets are required to commit to a series of year-long post-journey processing sessions. In addition, they choose to keep in close touch with the Israelis they met and got to know, and who were critical to their transformative experience. “I am more grounded now. It used to be easy some days to wake up and not feel like you have a purpose. Now I have purpose. I want to help other people,” Narcissa said.